Sitting outside on an old cattle chute after riding a horse for the first time. 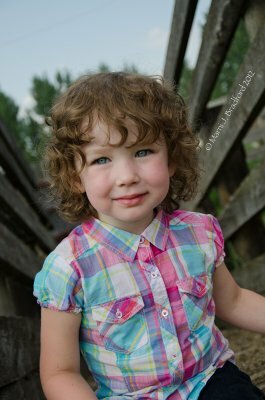 You can tell it was hot and humid in the barn as her hair is really, really curly! So sweet - looks like she really enjoyed it too!